A trip to Whakatane a few months back saw me looking through my friend Pip’s cookbooks and I discovered Plenty – a really fabulous looking cookbook based in the Bay of Plenty. The food and photography is superb. I hoped that one day we could have a cookbook based in Poverty Bay if only just to thumb our nose at Captain Cook and his fellow intrepid travellers. 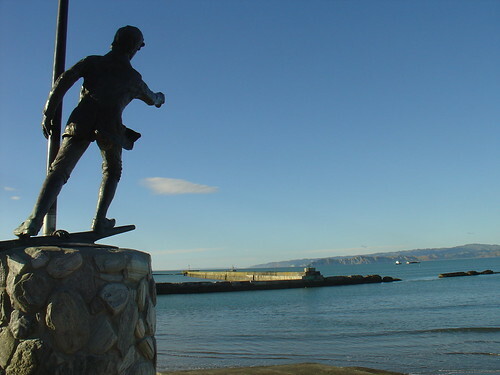 Young Nick’s Head at the southern end of the bay was the first sighted land of New Zealand. After a misunderstanding or two between the local Maori and the Endeavour crew led to bloodshed, Cook left with his tail between his legs without the food and provision required to journey on, and in spite or in truth, left us with the name Poverty Bay. Cook may have named the region Poverty Bay but Gisborne is rich in food sources – grapes and therefore wine, citrus for miles, and kai moana (sea food) are just a few of our renowned products. Country Calender Cookbook with Allyson Gofton features artisan products of New Zealand have featured Gisborne producers of Perigord truffles, organic corn products such as polenta, popcorn and cornflour, and organic and biodynamic wine. We have a cheese factory and a cidery, you can buy coastal honey and locally made venison salami………………. One will truly not starve in the fertile Poverty Bay. The local BPW group and the Sunny Day trust have joined forces to create a cookbook with local flavour. The funds raised from the sale of the cookbook will assist the Sunshine Bus Service purchase a new shiny yellow bus to transport fellow Gizzie-ites, particularly the elderly and less mobile, around and about town at no charge. An appeal went out to the local cooks, chefs and foodies of Gisborne to contribute their favourite recipes. Each recipe has been tested and styled by a local restaurant Soho/Three Chefs, the photography by Strike Photography. Littered amongst the food photography are shots of our stunning coast and local food heroes out hunting and collecting. Each recipe has a foot note supplied by the contributor, of which there are quite a few known local identities. Try Hon Anne Tolley’s Spicy Casserole, Pounamu Boil-up Doughboys by Witi Ihimaera or if you are keen on all things chicken, Mayor Meng Foon knows just what to do with a tray of Chicken Gizzards. Feast has six sections, each titled ‘from the…’ and sponsored by a local business or charitable trust. From the beginning kicks off with starters and nibbles followed by Kaimoana – from the sea. 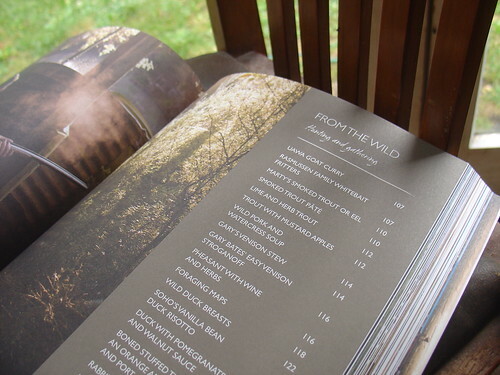 From the pasture, wild & garden cover off the meat, what to do with the spoils from hunting & gathering, and a good section of vegetarian recipes. Finish up with dessert & baking aptly headed up from the heart. The last section is from the past – a history of feasting on the East Coast. The first recipe we have tried (other than those I had contributed myself) was the Chillioli. This recipe appeals for a number of reasons – the name & that we are garlic-o-philes, but also the Anster is a chilli head and this aioli uses the whole egg, so I don’t get left with a container of whites sitting in the fridge for three weeks before I throw it out. 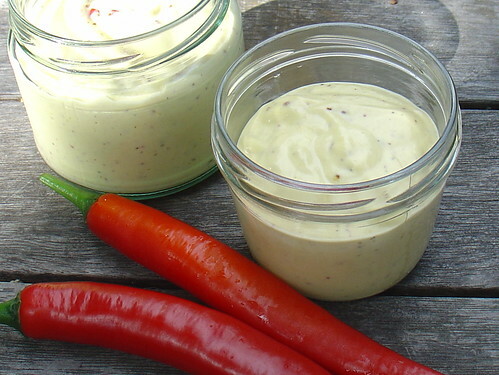 Chillioli is Aioli with a hint of chilli – the original recipe is supplied by Chris Gillies. I have adapted it slightly due to ingredients at hand. Place the garlic, mustard, vinegar and eggs into a blender and pulse until well mixed. With the blender going, very very slowly drizzle in the oil. Add lemon or lime juice to taste, then stir in the chilli to flavour. Add as little or as much chilli as you like however the smaller the quantity of chilli, the stronger the garlic flavour. Allow the chillioli flavours to develop and mature at least one day before using if you can. Mr L (my eleven-year old kitchen hand) and I prepared the chillioli and used it in the Dutch Potato Salad recipe as featured on The Dutch Table. The five of us all vouch that it is a really good aioli and will be my go-to aioli recipe from this day forward. Soho’s Vanilla Bean Duck Risotto is another recipe you’ll want to try. Having eaten a very tasty Duck Risotto at Soho, I will now be able to recreate the feast at home if only I had a hunter gatherer to bring me a couple wild ducks. Renie’s Petite Café’s very popular Ginger Crunch is a sweet I make my way downtown for. Ginger Crunch is a slice I am very discerning about and this is a Ginger Crunch I happily pay for and though I can make it myself, I probably won’t have Ginger Crunch in the tins every time I have a craving for a piece . The other Ginger Crunch I am slightly addicted to is available from Muirs Bookshop Café – and since I have found a recipe by Julie le Clerc that makes a very similar slice, I don’t go back there quite so often. Gisborne is not renowned for apple or pear growing to the extent that Hawkes Bay (the fruitbowl of New Zealand) but we do have pip-fruit orchards supplying the region with apples and pears either at the Farmers market or the orchard shops. Interestingly, apples do not feature strongly in Feast. Bulmer Harvest’s Chargrilled Pork Fillet with Apple Salsa sounds really quite promising and a quick glance at the ingredients determines these are all stocked in my larder: pork fillet, Harvest cider, muscovado sugar, golden sultanas & dessert apples so this is the next recipe up for trial. Stay tuned for the post. Trout with Mustard Apples might prove a little more difficult in sourcing the trout – that might have to wait until our annual Lake Waikaremoana trip in late January. Coconut and Almond Crumble with Vanilla Bean Cream sounds and looks like another recipe to try. Red delicious apples, mixed berries and raisins are topped with a crumble of ground almonds, flour and shredded coconut. I like a recipe that specifies what type of apple is best. “All the fruit you have slice” is another to try apple recipe though Vera states any fruit will do – apricots, peaches, berries, plums, tamarillos or feijoas. Finally, Thomas Barge of Ussco Bar & Bistro has a Sticky Pear Pudding based on the idea of a sticky date pudding. I am thinking a sticky apple pudding might just be the right tweak for me to try. 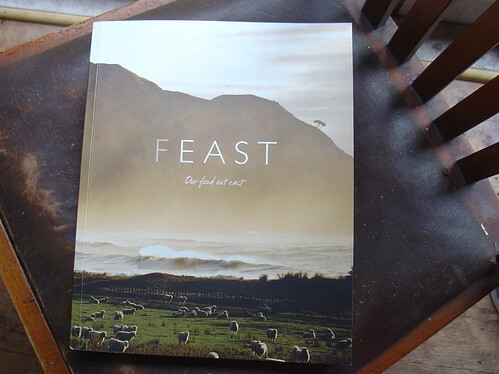 This entry was posted in Book Review and tagged book review, cookbook review, Feast, Gisborne cookbook, our food out east by Jo Dohrman. Bookmark the permalink.